A “deceptive face” out there to impersonate; a “mindful vision” can save life imprisonment . We were always been decieve by what we saw. Yet little did we know it’s only their facade to fool us on who really they are. 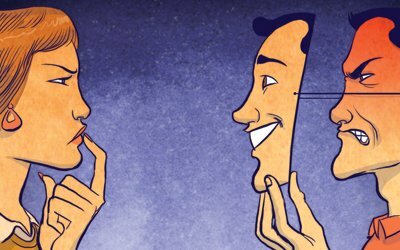 Dont let your eyes fool you ; play with your mind; as there are grinched faces ; masked behind those smiles. A concrete appearance reflects abstract attitude, a certain positive or a sort of negative yet unseen. Life in disguise ; masked to hide; throws me in a surprise; confused with no choice. Even if we think of it hundred times, it is still hard to know a person’s sincerity. Sometimes you have to put on a mask and smile in front of people who don’t like you in an attempt to take control over something you can’t. It’ll make them wonder not knowing whether to rage or laugh. Beyond your smile and happy face , I sense an anger. Don’t you know that anger and energy are more honest than your facial expression ?